I enjoy keeping up to date in my garden with new Salvias I read about online. This year, I'm interested in Radio Red, Bright Eyes, Summer Jewel White and Windwalker. When will they be available at FBTS? Also, please let me know what new Elk Rainbow Sages you will introduce this year. One more thing: Rare Salvias are another one of my interests. I try to add one or two a year. So I'd like to know when you will be adding rare ones to your catalog. We'll also be introducing a number of new Elk Rainbow Jame Sages (S. x jamensis spp.) from our own hybridization program this year. Out of hundreds of carefully bred seedlings, we'll find maybe one plant that is worthy of trial. Then, we're lucky if we find one great new Jame Sage out of the dozens we trial. As to rare sages, some of them are old species that are coming back into favor. We regularly seek out rarities for gardeners building Salvia collections. If you register for our free email alert newsletters, you'll be among the first to receive notification as soon as new introductions, Rainbow Sages or rare Salvias are added to our catalog. All you have to do is to register where it says "Sign Up for Our Newsletters" in the bottom right corner of all our web pages. But getting back to the issue of introductions, here are some reasons why you won't find every new Salvia under the sun at FBTS: First, we don't grow all the new sages on the market, because the popularity of the genus is increasing rapidly and there is an ever expanding number of new choices. We don't have the time or space to grow everything, so we restrict our new products to superior cultivars. As you know, we grow hundreds of different Salvias. We refuse to remove excellent sages from production to make space for new yet lower quality plants. 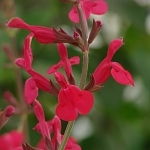 Second, new cultivars often differ little from Salvias already in nurseries. Plus, in the rush to attract customers interested in new types of Salvias, growers sometimes release inferior products. Third, it can be difficult to secure licensing from major breeders that deal in patented plants. This is due to their focus on what I call the big box market. The breeders license huge wholesale nurseries to produce vast numbers of plants for large chains of home improvement stores and discount retailers that purchase up to hundreds of thousands of any single plant. Major breeders generally don't have programs in place for providing stock to independent nurseries, such as FBTS. However, if a cultivar is truly superior -- such as Friendship Sage (S. Amistad), the Suncrest Salvias (S. greggii hybrids) or the Australian Wish Sages -- we persist in seeking licensing. It can take a number of years to achieve. When we hit the wall trying, it's time to move on to better uses of our energy and money. Licensing sometimes gives us the right to propagate plants from parent stock that we purchase. However, some patents don't allow us to propagate plants (growing from seed, cuttings or plant tissue). Instead, each time we want to grow the plant, we have to purchase starts (also called "plugs") in much larger quantities than we need. This wastes money, labor and natural resources, so we limit the number of patented plants we cultivate. 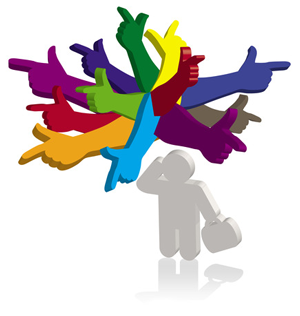 Plant qualities that make us hang in there are similar to those of our Best of Class selections. We look for beautiful, abundant bloomers whether the plants are grown as perennials or annuals. Reliable repeat performance is necessary for the best perennials, subshrubs and shrubs. We also are interested in the ability to excel in extreme conditions, such as persistent drought. Among Salvias, the plants we consider superior generally are easy to grow and thrive with little fuss, similar to our Elk Rainbow Jame Sages. However, it's important to say that an important way in which we strive to make our entire collection superior is by offering a broad range of Salvias, including rare plants. Sometimes these aren't the prettiest Salvias or the easiest to grow, but they appeal to collectors like you.